Stratos is Australia’s most experienced supplier of military seating with many seating designs currently in active service overseas. 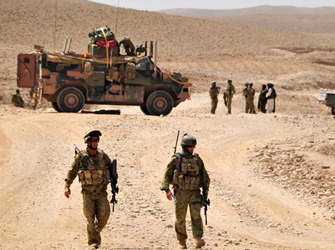 We have supplied the Australian Defence Forces on projects such as: Bushmaster, Bushranger, Land 121, ASLAV, HSEV, Perentie. Our products comply with military specifications (i.e. flame retardancy, corrosion protection) and can include unique features such as mine blast protection, sideward and rearward facing, wall and roof mounting, closed cell foam, etc. We also offer service support of all our products. 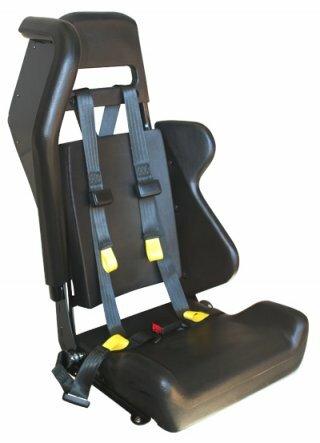 The BattleSafe 237 model seat is an attenuated, mine blast resistant, front seat. 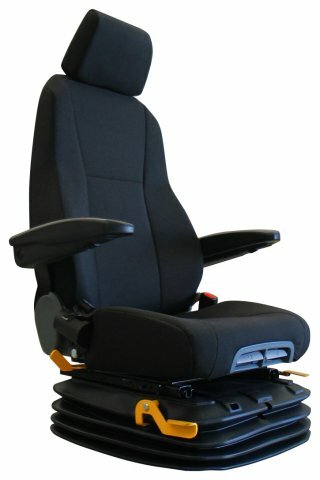 The simple and economical design is easily adapted to a wide range of vehicles and is ideally suited to vehicles requiring cushion mounted seats with a STANAG 4569 rating less than 4A or 4B. The integral skin moulded components are fire rated to FMVSS 302, providing reduced risk in the event of a cabin fire, and are easily pressure washable. These models feature 80mm stroke as standard (105mm is also available). 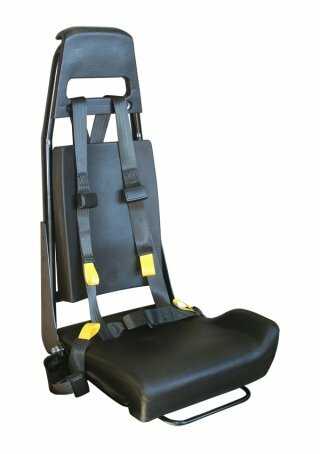 The BattleSafe 245 model seat is an attenuated, mine blast resistant, crew seat. 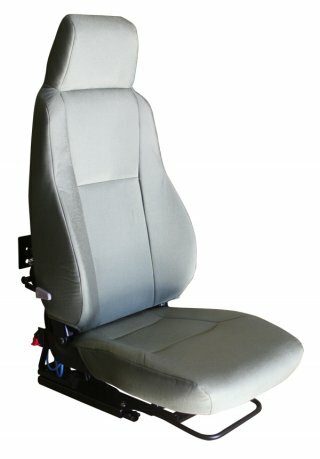 The simple and economical design is easily adapted to a wide range of vehicles and is ideally suited to vehicles requiring cushion mounted seats with a STANAG 4569 rating less than 4A or 4B. The integral skin moulded components are fire rated to FMVSS 302, providing reduced risk in the event of a cabin fire, and are easily pressure washable. These models feature 80mm stroke as standard (105mm is also available), lateral support for the torso and safety wing for sideward travel. 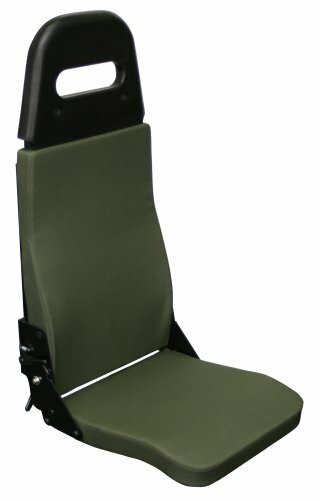 The BattleSafe 770 model seat was designed for wall mounted military applications. When not in use, the seat can be folded up and locks into place. The 770 has a low profile seat cushion to maximise the space claim around the seating areas. The 770 can be trimmed in a green or black mil-spec fabric and features a protective headrest. A 2-point or 4-point seatbelt can be mounted to the seat. The BattleSafe 933 provides the benefits of air suspension to cabins that have limited available vertical space for suspension movement. The total suspension stroke is 85mm which is no more than a static seat requires. Seat belt anchorages are mounted to the seat and comply for use in M1/N1 category vehicles (FMVSS 210). Mil-spec trim is fire rated to FMVSS 302 and has anti-fungal properties. The 933 also features pneumatic height and weight adjustment. This seat exhibits very little deflection under load. The BattleSafe 240 is the ultimate control room seat for defence applications. The 240 features a height riser and adjustable seat tilt to accommodate the different operators as well as a seat turntable to allow the seat to turn for entering and exiting the seat. A lap seat belt is standard to ensure the operator is safe and able to operate their station during movement of the vessel. The seat is built with a hard wearing, fire proof fabric and fold up adjustable armrests improve comfort and seat ergonomics, especially during longer shifts. 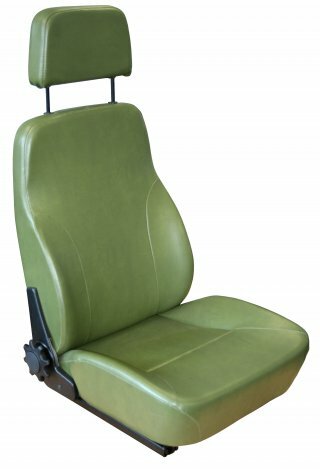 The 712 seat is a comfortable, lightweight and economical seat commonly used as lower cost solution in military vehicles. Available with a fixed backrest or reel type reclining mechanism and a low sided base cushion for easy entry and exit of vehicles. The ergonomic base features Sisiara® energy absorbing mesh which lessens driver fatigue and increases comfort. It features quality Enduro foam and a padded headrest.